Climb aboard the NEW 45 and enter the boldly modern, bright, spacious world of the latest cruising catamaran by Fountaine Pajot. 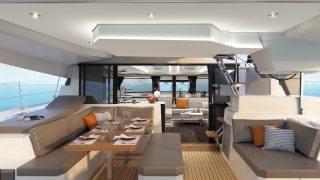 This incredible new model has just been unveiled at the 2018 Cannes Yachting Festival and has already had a huge amount of interest worldwide. 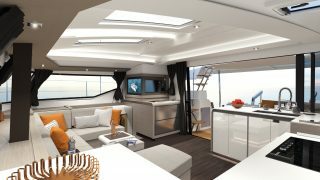 The New 45 boasts energetic lines and inverted bows, accommodating incredible interior living spaces making her truly astonishing. 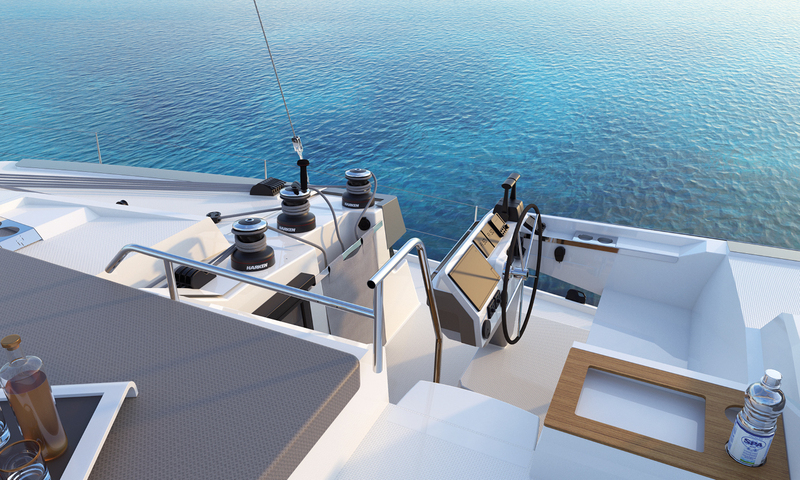 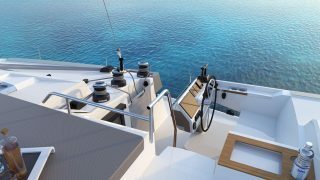 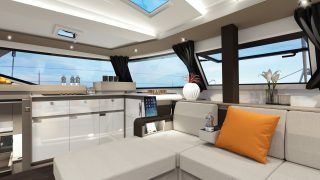 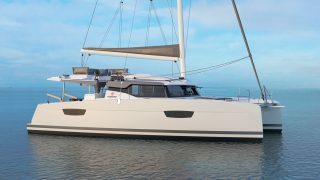 This elegant new catamaran also has a newly designed helm station to improve handling, promising excellent performance. 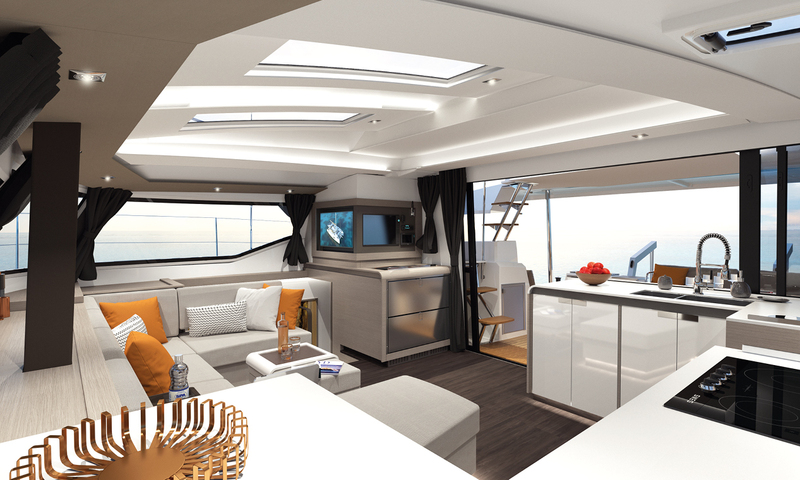 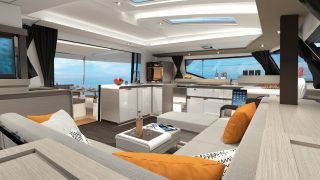 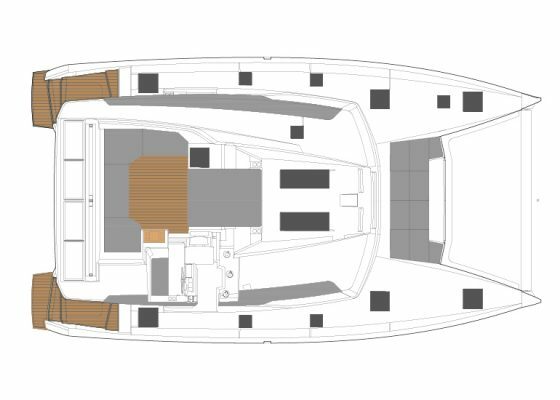 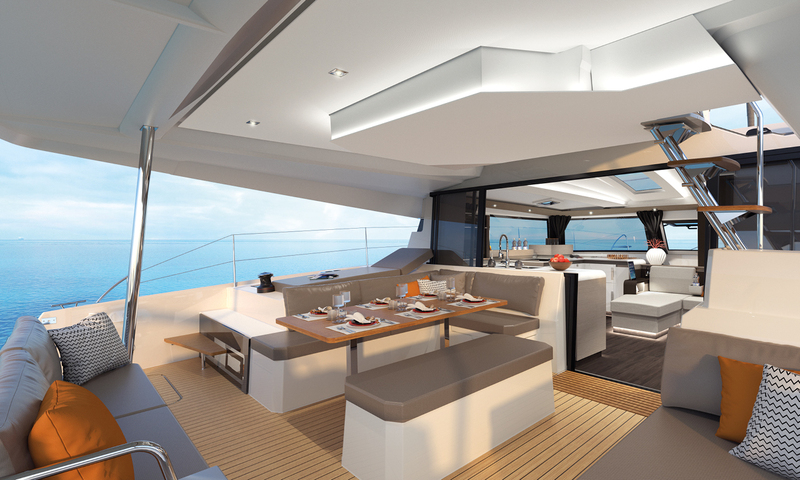 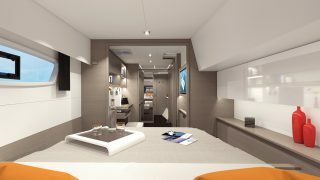 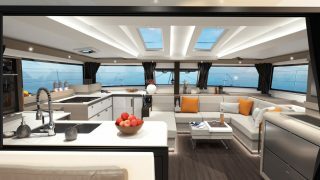 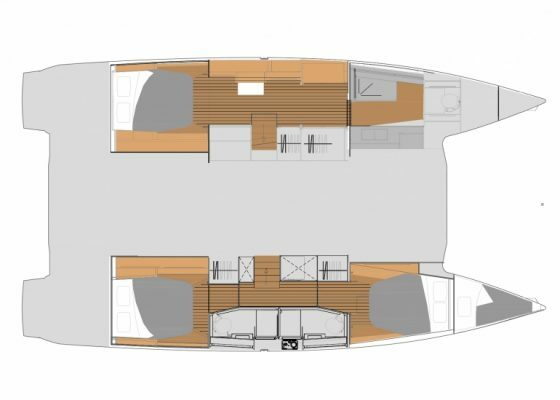 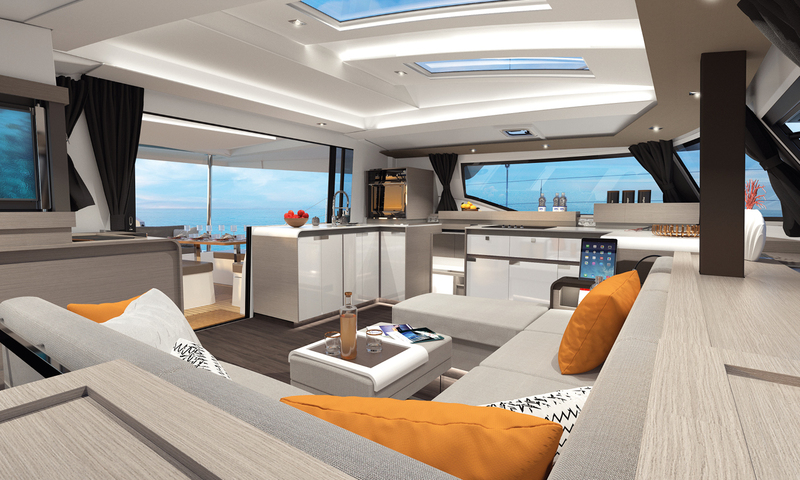 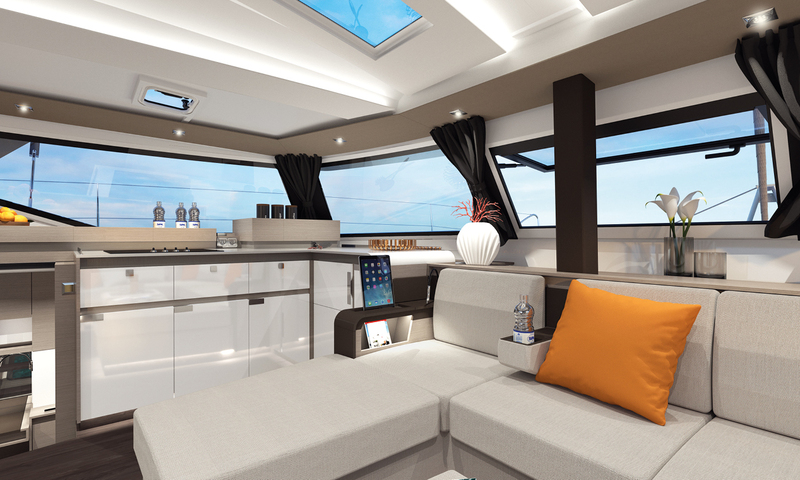 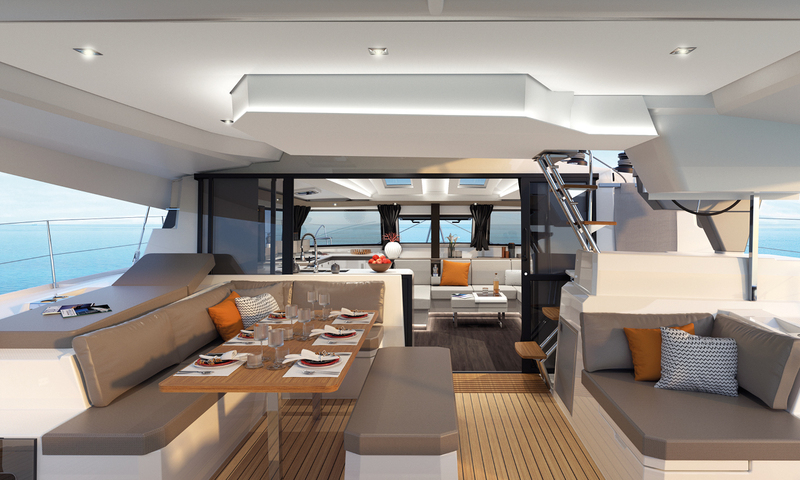 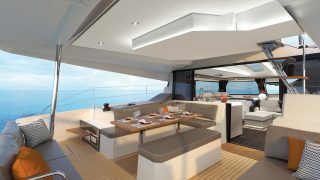 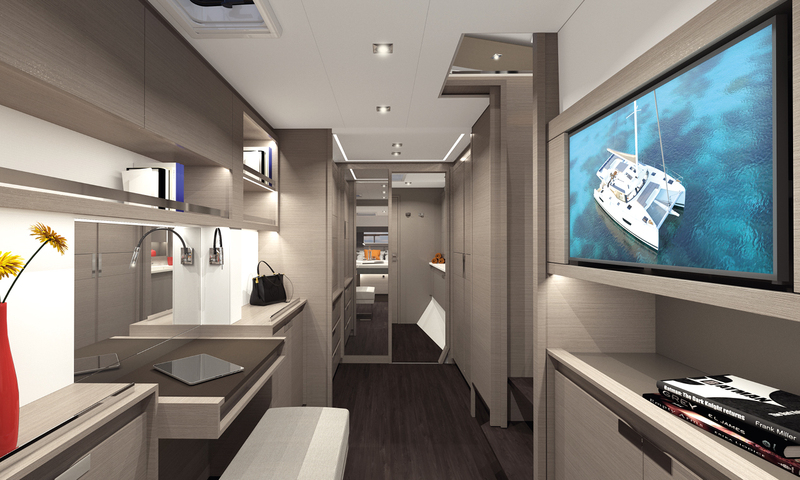 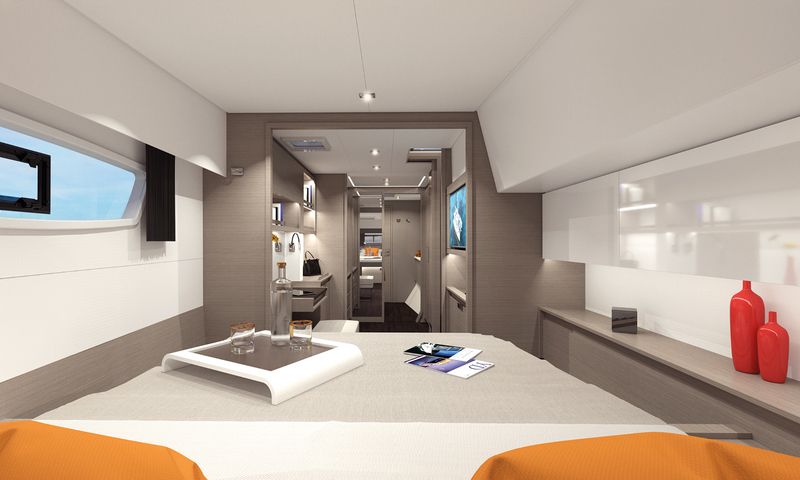 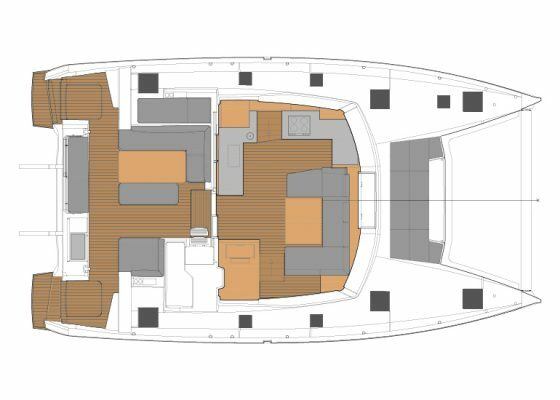 The New 45 delivers all-embracing harmony, with an abundance of light, an extensive cockpit opening onto an innovative saloon, together with the largest lounge space of her category and lots of hidden storage. 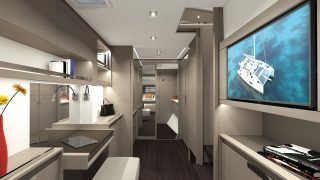 The expansive Owner’s suite and guest cabins are also bathed in light and offer a quiet, comfortable place in which to relax, with ensuite shower rooms depending on the version. 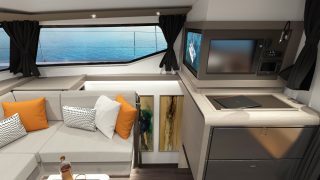 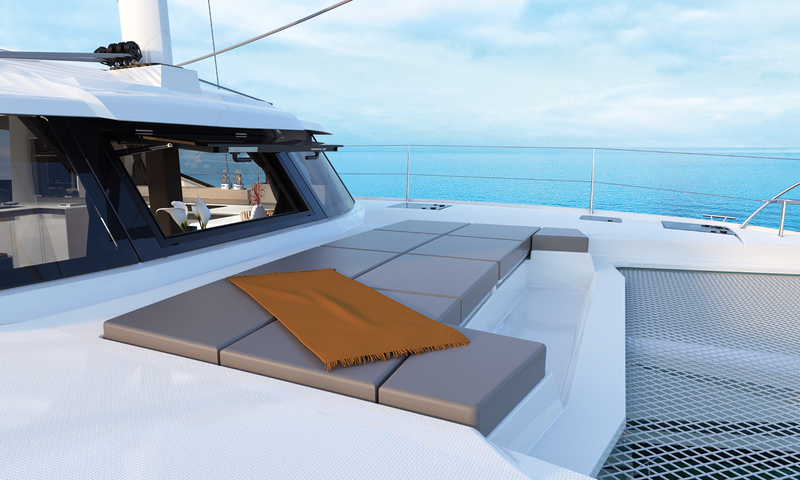 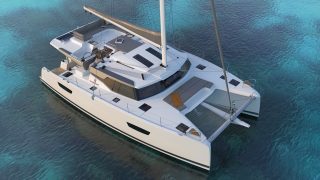 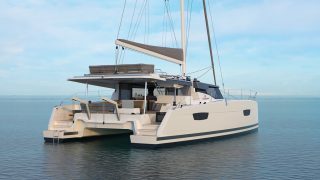 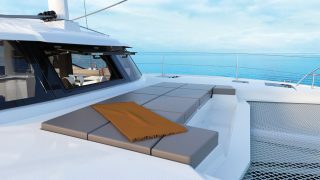 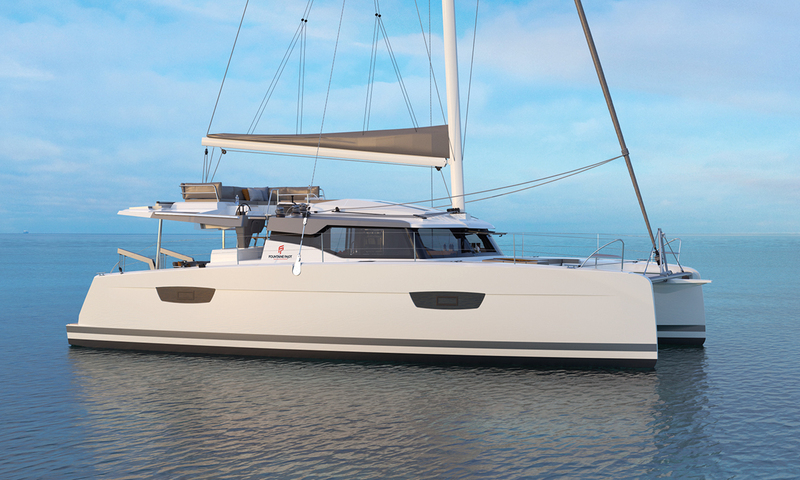 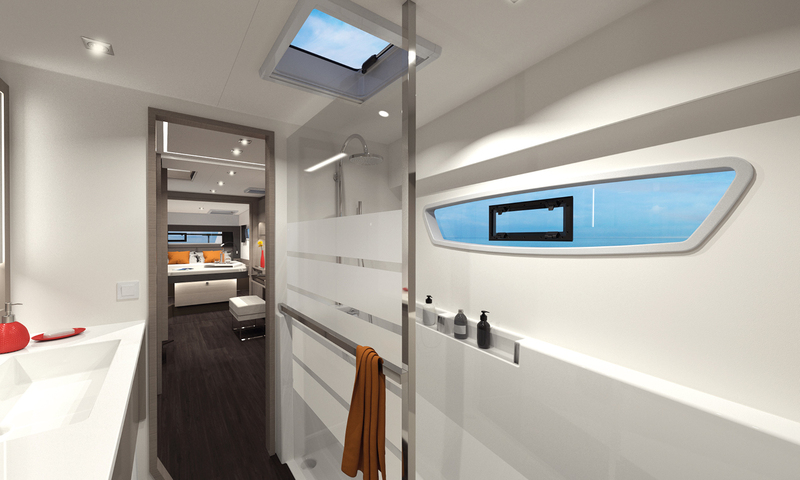 The New 45 by Fountaine Pajot is enhanced with incredibly generous relaxation spaces, on the foredeck, lounge deck, and in the cockpit, not to mention the Beach Club electric platform available on option. 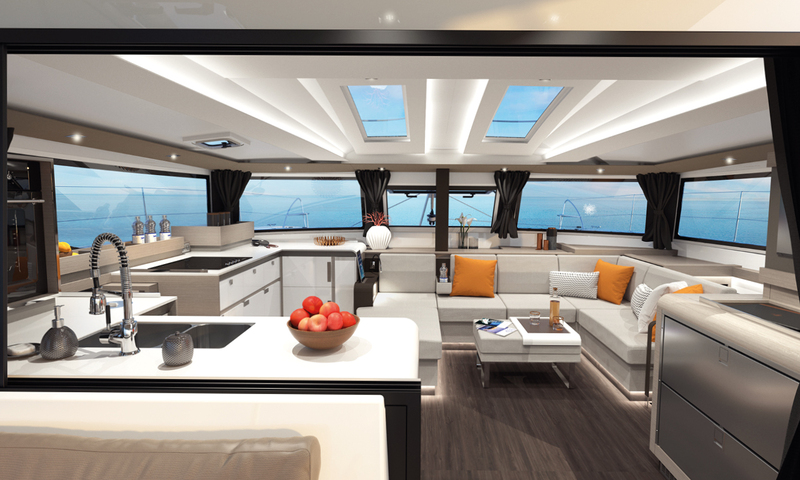 Contact us to receive the most up-to-date information as it becomes available.